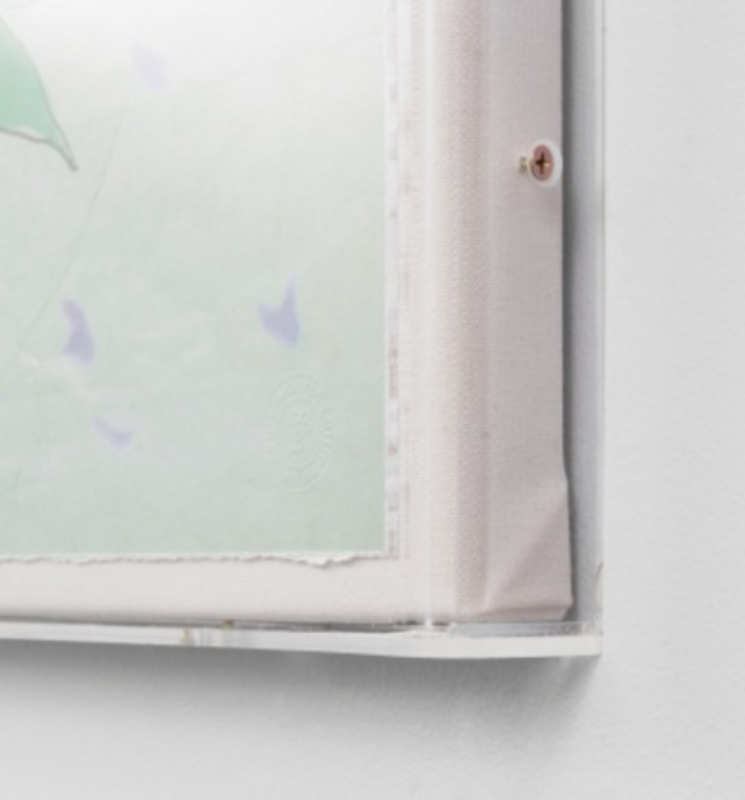 Printed on museum quality cotton paper, mounted on natural cotton and cased in a contemporary perspex box frame. Only available in perspex box frame, not available unframed. Delivery in 5 to 6 weeks. 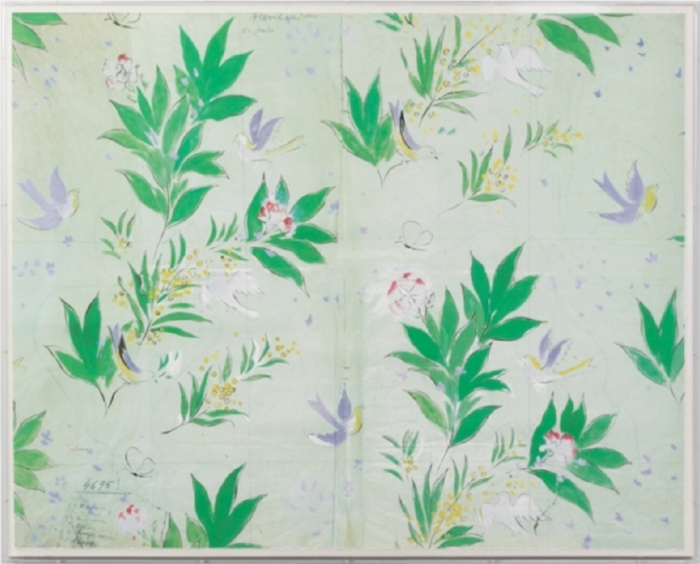 Paule Marrot was the quintessential French textile artist. A painter, engraver, teacher, and ultimately an esteemed fabric designer, she met and was influenced by Impressionist master Auguste Renoir and Fauvist painter Raoul Dufy. She was admired by many famous personalities including the Ali Khan, the Shah of Iran, the British royal family, Billy Baldwin, Margaret Owen, and Jacqueline Kennedy who based the interior of an entire room of the White House on one of Marrot’s spirited flower designs. In the world of interior decoration, Marrot’s fresh, colourful, spontaneous designs have always been synonymous with a wonderful sense of joie de vivre. Marrot made a unique contribution to the world of 20th Century textile design that still resonates today.